Hello. My name is Amelia and I am addicted to nail polish. It’s been one day since last I painted. No joke. This isn’t going to be a blog about beauty or fashion, but I think nail polish is a good place to start my introduction. I painted my nails three times yesterday but couldn’t land on a color that felt right. OK, it was four, but I’m only going to tell you about three. It seems superfluous, nail polish, but I usually tell myself it’s a form of expression, an extension of my identity. That’s what style is, right? It’s a very personal label, a way to show the world who you are without having to speak or act. As I removed the final coat, my head spinning a little from acetone overload, I considered what I was trying to tell the world about myself. I came up blank. I’d started with a pastel pink, Butter London Teddy Girl, but it felt too girly. I just moved away from home a couple weeks ago and I’m already feeling vulnerable enough. There’s a big difference between going away to college and actually moving. I wasn’t expecting it to feel so different, but knowing that I probably, hopefully, won’t be living with my parents ever again, won’t be taken care of, is equally terrifying and liberating. I’m trying to concentrate on the latter; the pink had to go. Welcome … to Murder House. Next came Butter London British Racing Green, a very dark green, bold, edgy, but not very cheerful. My roommate has been out of town and I’m alone, in the middle of nowhere, in a sort of scary house. OK, it’s a very scary house. I’m shitting my pants out here alone. I grew up in a suburban neighborhood, with streetlamps outside my window and rows of houses full of people I’ve known all my life. Now I’m in a log cabin that smells vaguely of chicken poop (this is because I have six baby chickens in the spare room, not because I’m dirty) with two dogs that bark at EVERYTHING, a street with just a few houses filled with people I haven’t met (and no streetlamps) and a basement that looks like the set of a American Horror Story. 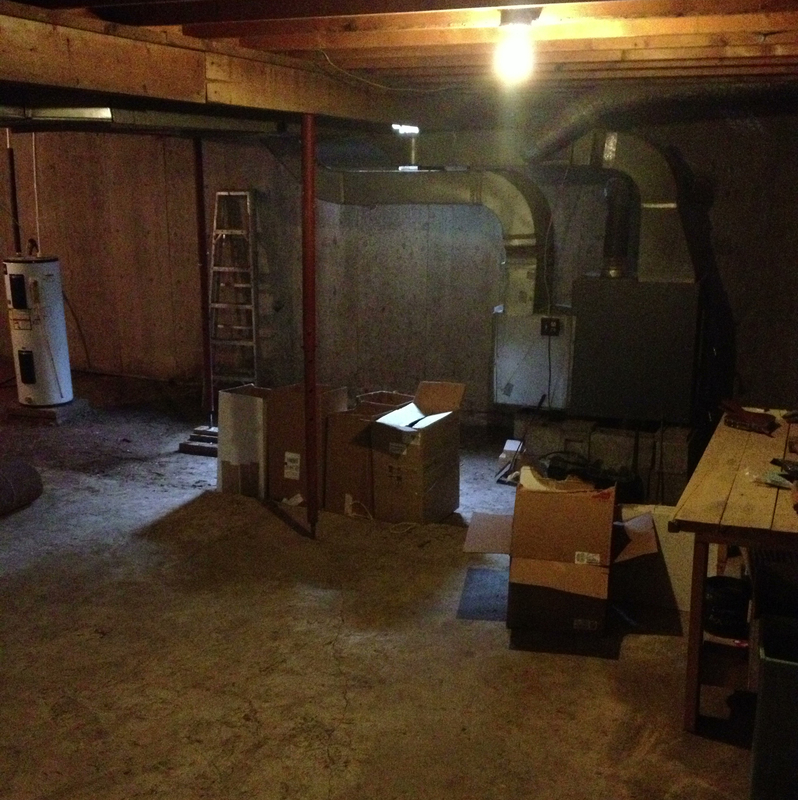 Every night I descend to feed the woodfire furnace, lest I freeze to death in my sleep. Took the green off. Last, after a spoonful of Nutella and another rerun of Mad Men, came turquoise. I don’t know what brand it is, something unimpressive, Sinful Colors I think. It’s free spirited, which I’m definitely aiming for, but it’s obviously so. I used to be more “free spirited,” or at least I used to dress the part: long skirts, harem pants, bangles, etc. I think that’s what I’m getting to, though. What does any of this matter? Wearing something because I want it to reflect who I am is a tragic hypocrisy. I’m trying to free myself from the material, and this concern of mine to “look the part” is enormously distracting and disturbingly shallow. Caring about who people think we are diverts us from actually doing the things that make us who we are. Besides, turquoise clashes with everything, so off it came. 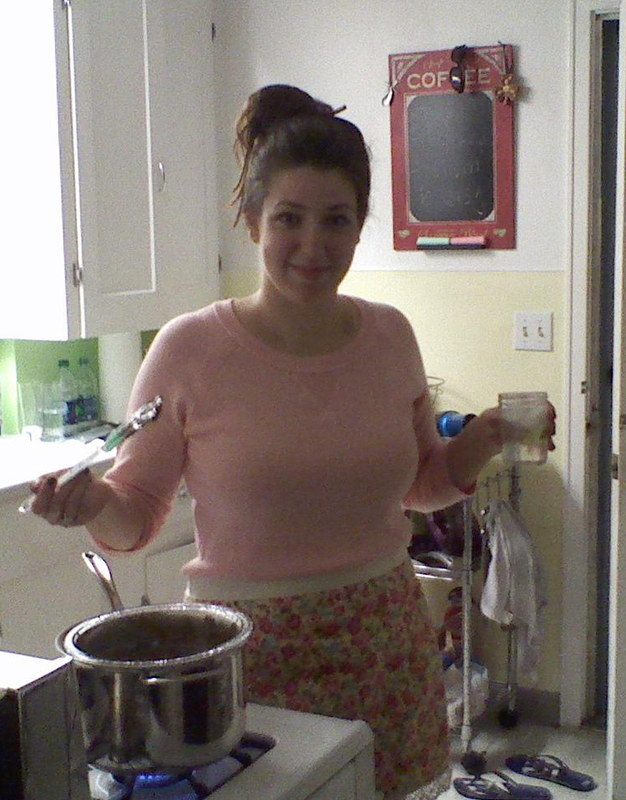 Sometimes I like to play 1950s housewife. Who am I, and who do I want to be? They say you are what you love … as in my mom loves a quote that states “you are what you love.” Well, I love to bake, pretty things like macarons and madeleines; I guess that makes me sort of girly. I love fashion, trying to predict trends and start new ones. It’s fascinating, art you can wear, cyclical but always evolving, always edgy. Most of all, I love feeling free, being impulsive and taking paths – both literal and metaphorical – that I’ve never explored. I’m all these things, I’m a dabbler, and I don’t want to be labeled. I wasted hours trying to land on a nail polish, hours that would have been better spent doing absolutely anything else in the world. I don’t want to be defined by anything other than my actions. I don’t want to be the canvas, I want to be the artist. Or rather, I don’t want to be the page, I want to be the writer. I am the writer, and I lost sight of that while worrying about what everyone else thinks I am. So, here we go. I’m giving up nail polish (at least for a while) and committing to living and writing. Come back soon, I’ll tell you a story.